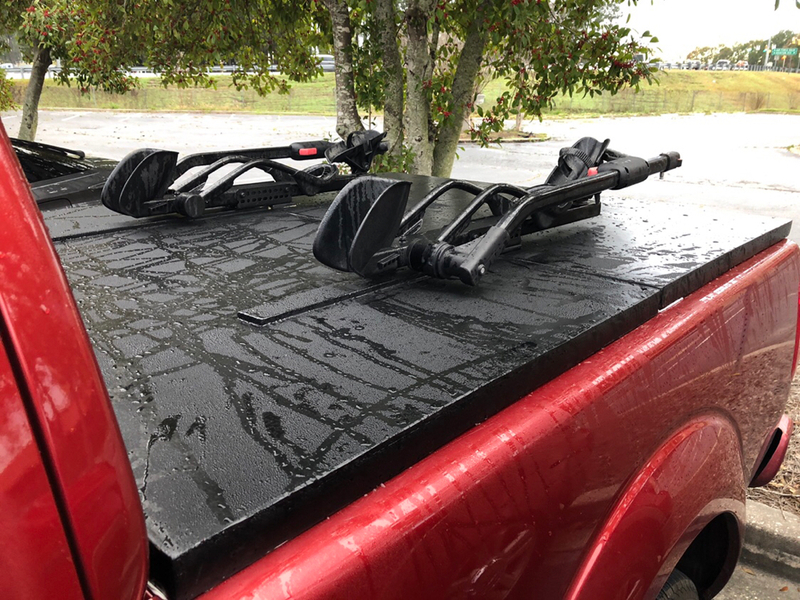 Finally completed my bike carrying tonneau cover. Now I can get back to the trailer build. 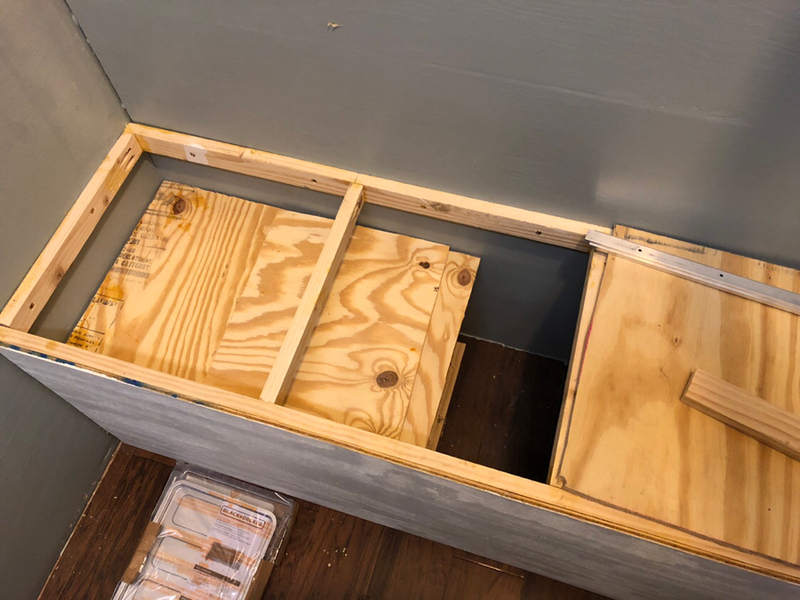 Yesterday I used PL and kreg screws to connect the 2x4 to the bottom. Today I used cloth and epoxy to cover the joints on one piece. I'll duplicate on the other tomorrow. I had a setback when I built both walls exactly the same. Two left walls and no right. 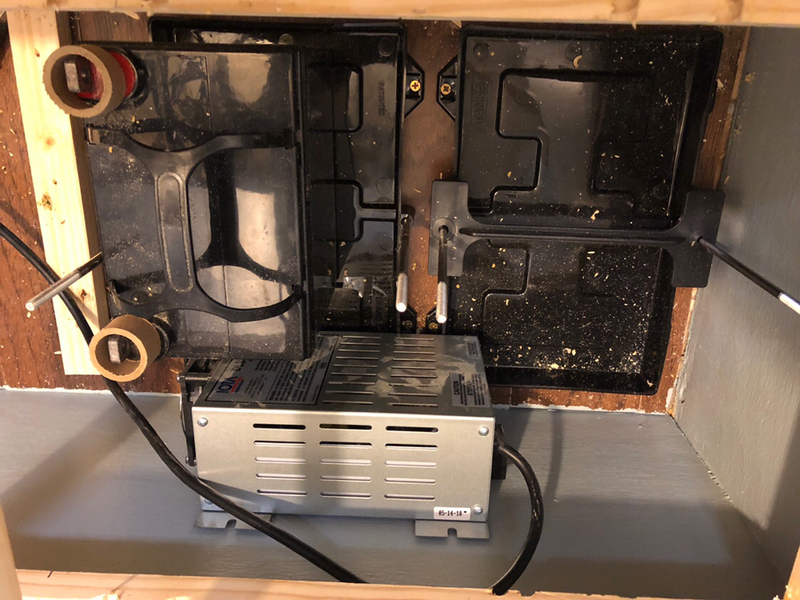 I was able to fix it but running wires through the finished wall was tricky. 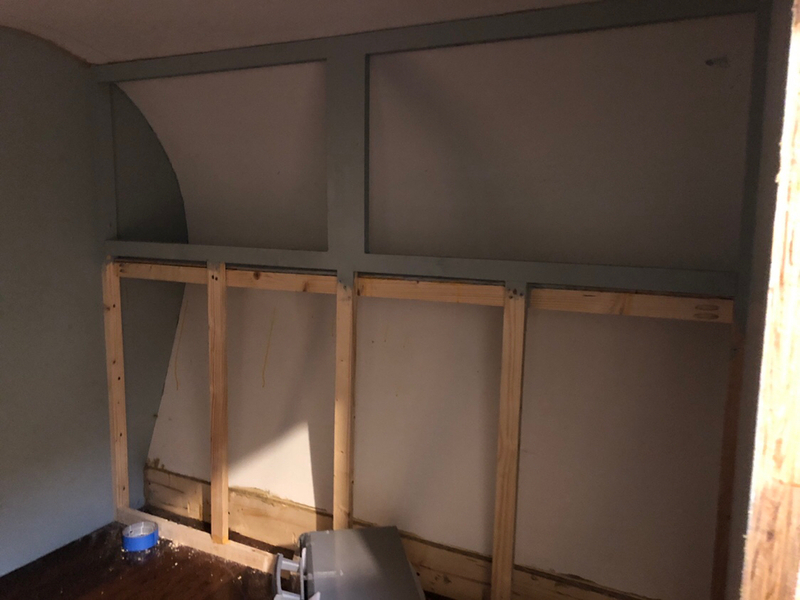 The interior of both walls is now sanded primed and painted. redbicycle wrote: I had a setback when I built both walls exactly the same. Two left walls and no right. I was able to fix it but running wires through the finished wall was tricky. Ouch. I've done that when sewing. Glad you were able to fix it relatively easily. Walls are up. 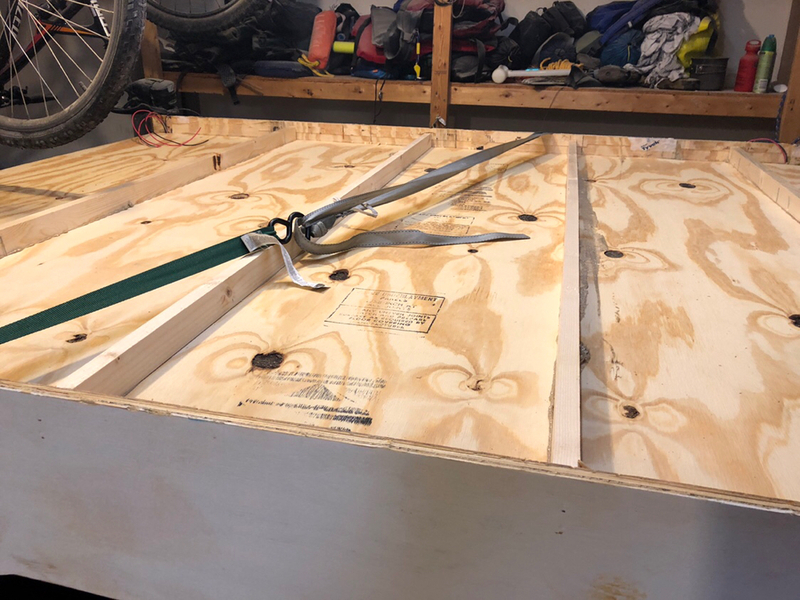 I also put together my cargo rack and determined it won't carry my climateright and batteries. It is not secure enough. The bouncing around will destroy the climateright. Also I don't want to deal with running wiring from the rack to the interior. The movement would be a longterm nightmare. 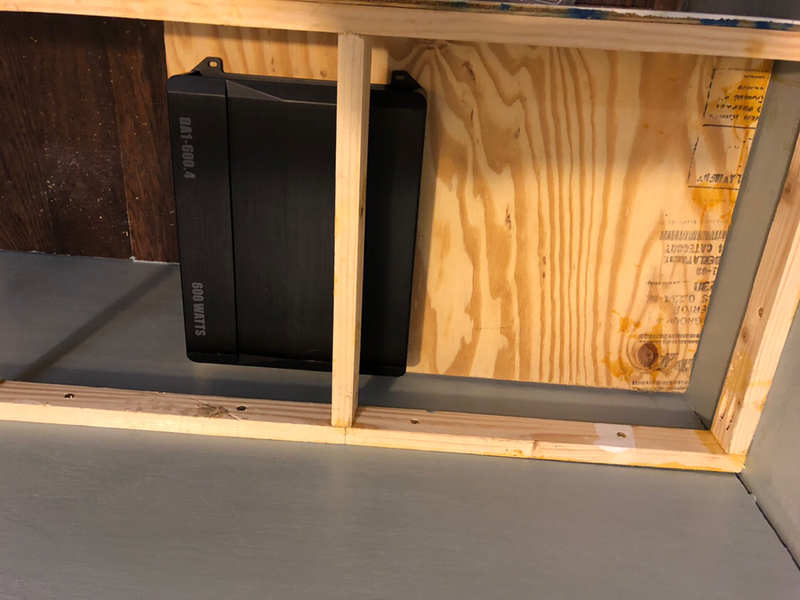 The new plan is to put the batteries in each rear corner with an access hatch. The climateright will go in the tongue or on the TV. Another new problem has popped up. I have a gap between my wall and the fender. It is a spot for water to find a way into the wall. I think I will use spray foam to fill the gap and cover the foam with big stretch sealent. 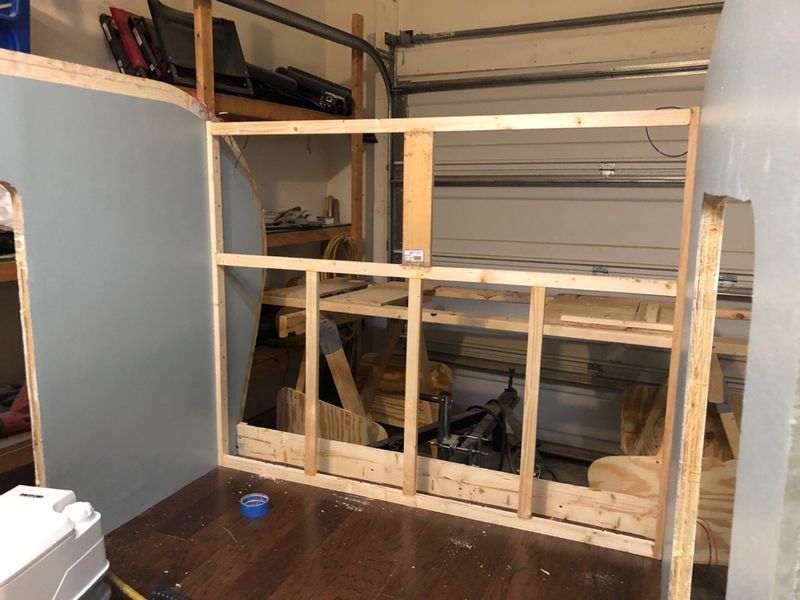 I framed the rear wall. The top opening is for a window. The bottom is for a hatch for electronic wiring closet access. Once this was done I decided to work on the floor. In order for me to do that I needed the interior walls done. 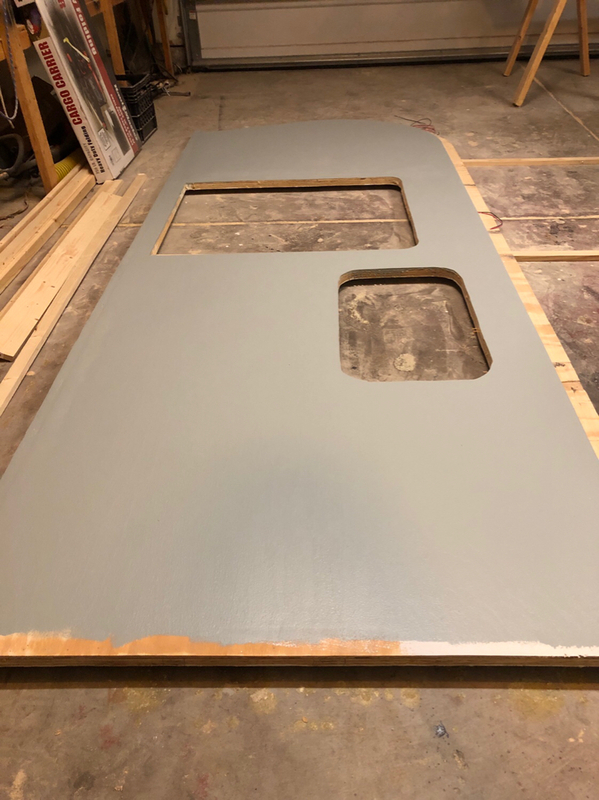 I decided to install the rear interior wall while still in primer. I was going to paint it first but this allows me to start the floor. I'll paint after the rough edge from the poor rip is fixed. A few more updates. 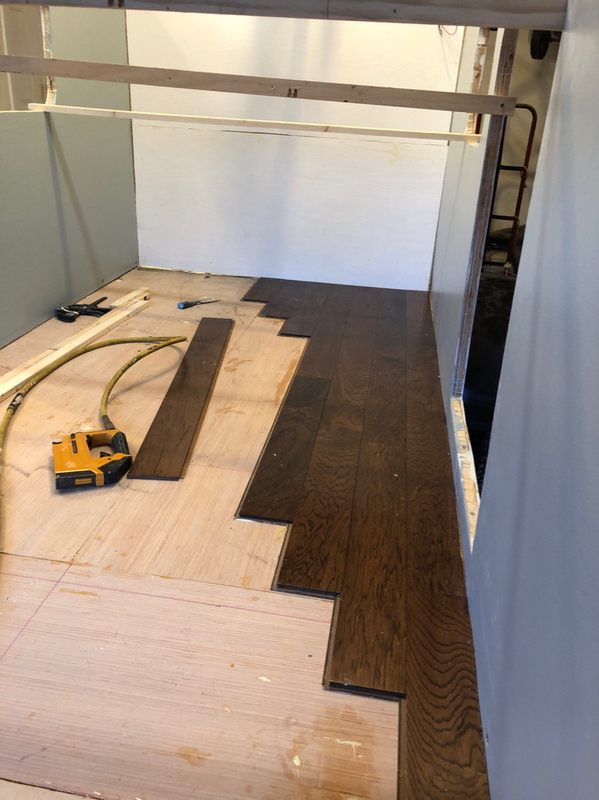 The floor is finished and I framed the front wall. 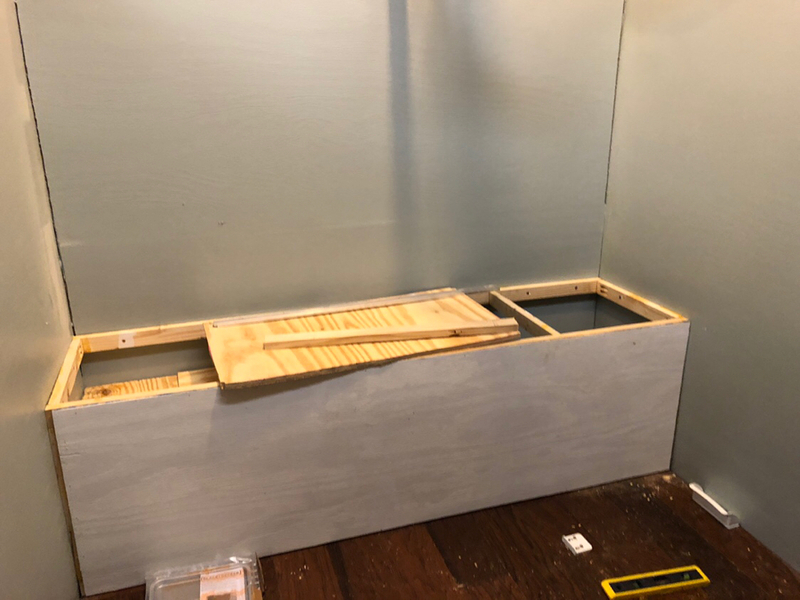 The bottom will be the headboard and the top will be cabinets. I am going to put a cabinet bottom just below the cross piece. The area below that will be dead space. I also started working on the rear. This bench will be storage on the right with a hinged seat. 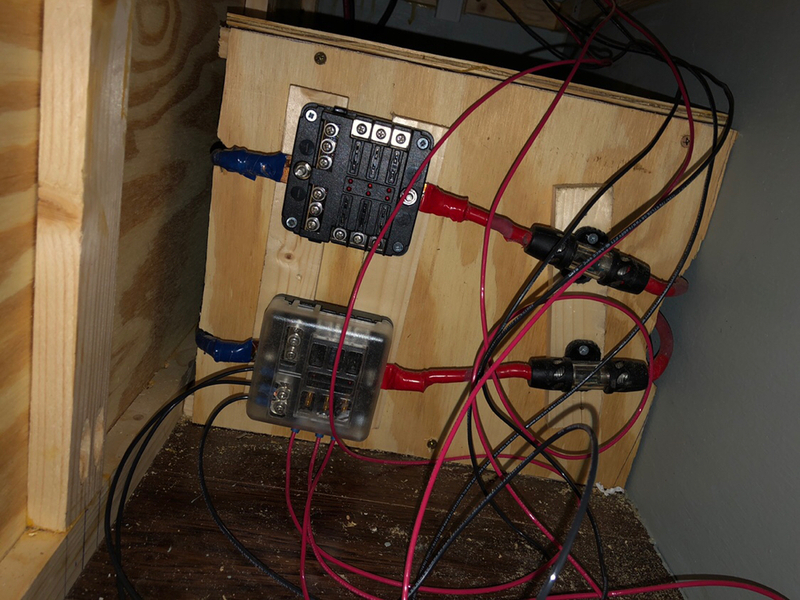 The left will be for battery and electronic connections and my 12v charger/converter. The bench is perfect for my wife. I am too tall for it. They way I am planning my indoor/outdoor table will allow me to sit on the bed. It should work but if not I'm adapting as I go. 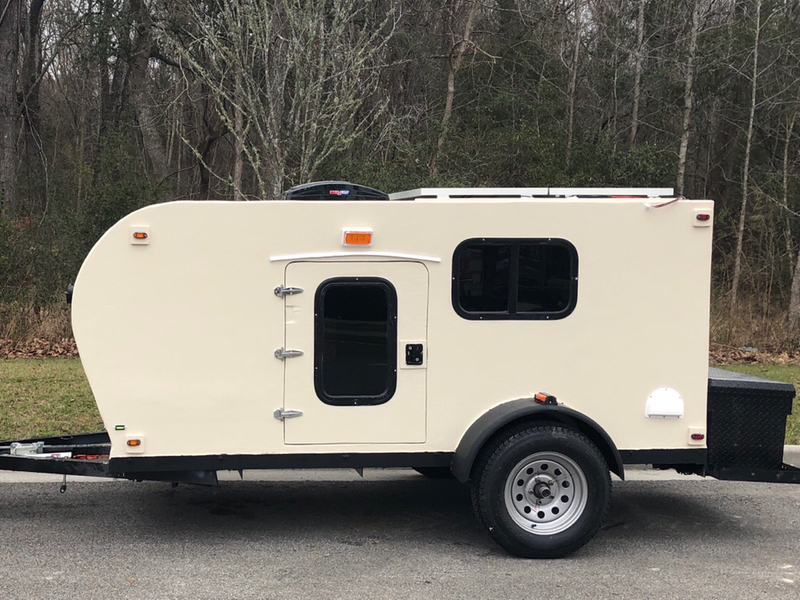 I am debating the rear access hatch. I think it could be useful but I don't know if the value is actually there. They layout and design will make more sense as it unfolds. It's in my head with daily revisions at this point. If you look close you will notice a large gap on the white plywood. This piece was already this width and I decided to use it hoping a piece of molding will cover the gap. It was a large piece of wood that I wanted to be able to use so I went for it. It's glued and Brad nailed in place now so one way or another it is going to work. I have a deadline of 1Mar to be able to use it. My wife is going to volunteer at the Charleston marathon I am running in 2 weeks (1/2 marathon for me). This will grant her credit for the Myrtle Beach marathon on 2Mar. I made camping reservations already so I need to meet that target date. 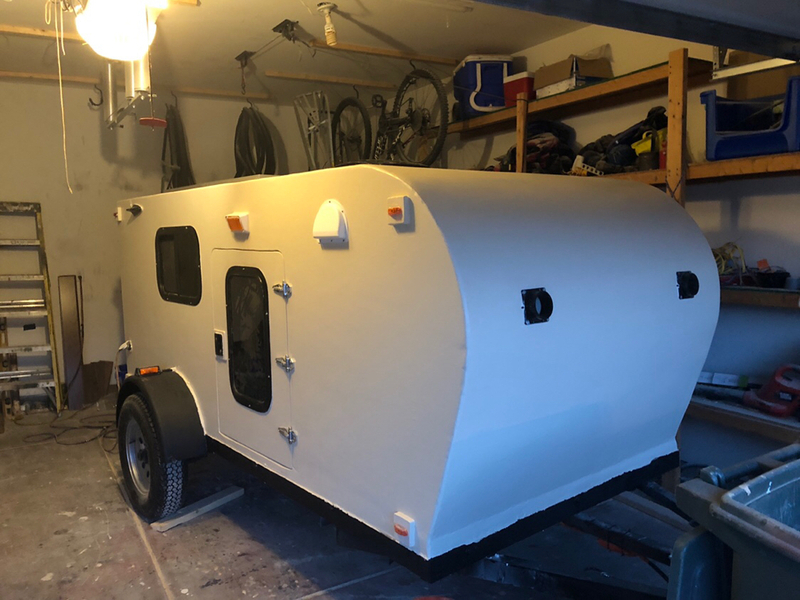 At this point I am planning to have the exterior complete for weather reasons and after that my bed and climateright are the only other must haves. I hope to have some lighting done but cabinet door and trim work and many many little things probably won't be completed yet. The doors still frighten me but my hinges are not hear yet so I just stare at them in fear. Interior ceiling is installed. The front shelf is installed. My hinges also arrived. 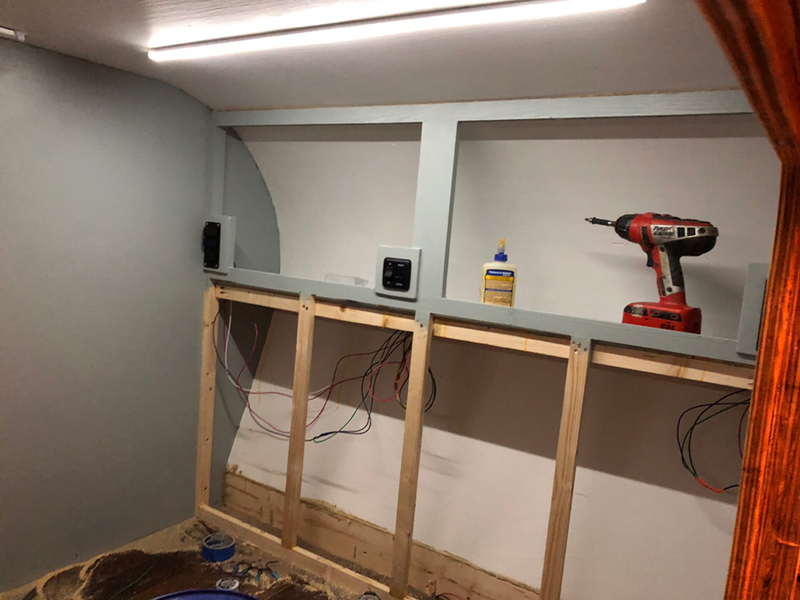 I am debating on if I should work on electrical or doors next. They both need done to camp. Perhaps the electrical first. 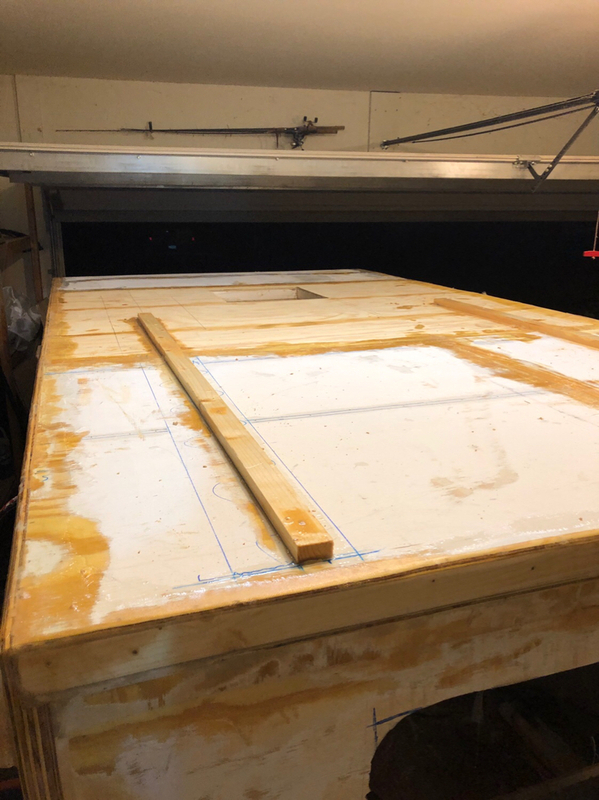 If I get the roof on I can work on the doors while the fiberglass for the roof seams cures. I also realized I didn't frame the roof fan. I need to remember to get that done also. I am not sure the order of operations that others have used but here is what I did and it worked good. 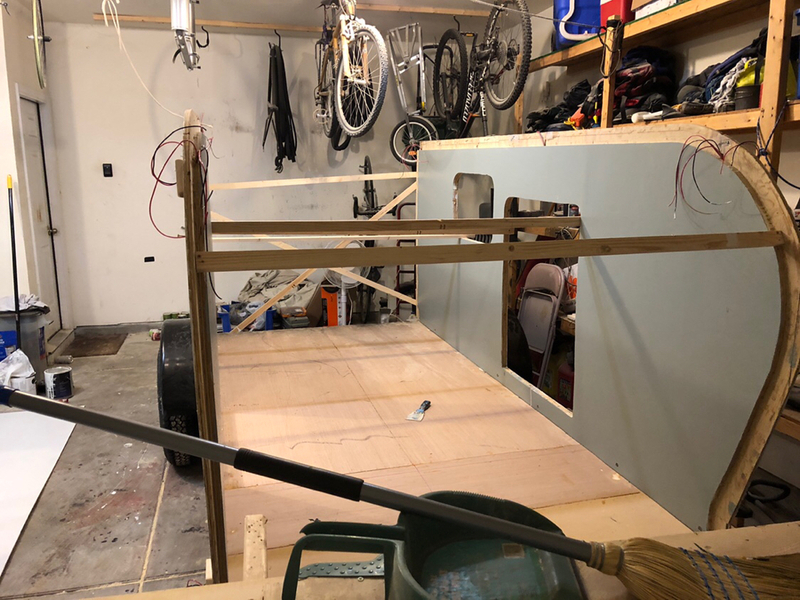 I cut the ceiling plywood and joists. I used brad nails and PL to attach the joists to the ceiling. 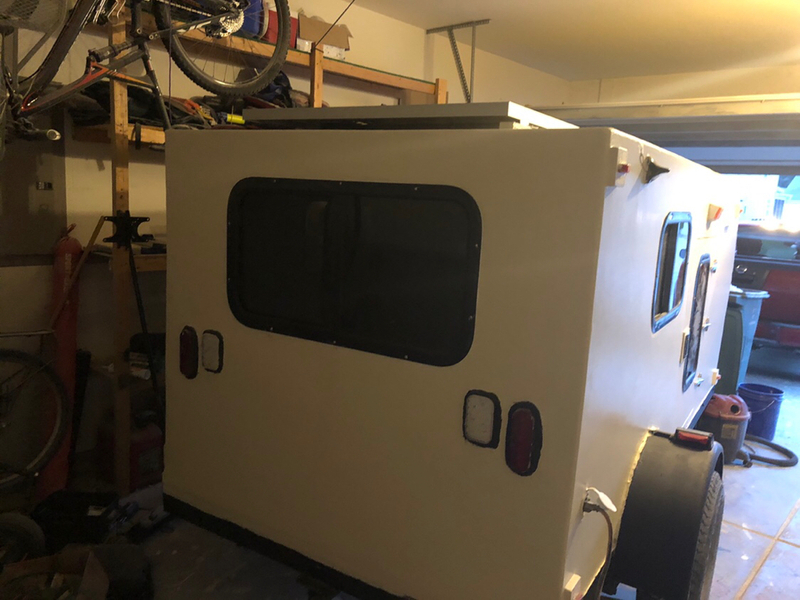 After this I attached the ceiling to the camper with PL and brad nails. The joists are nailed through the end as well. I did forget to us PL on the end of the joints. 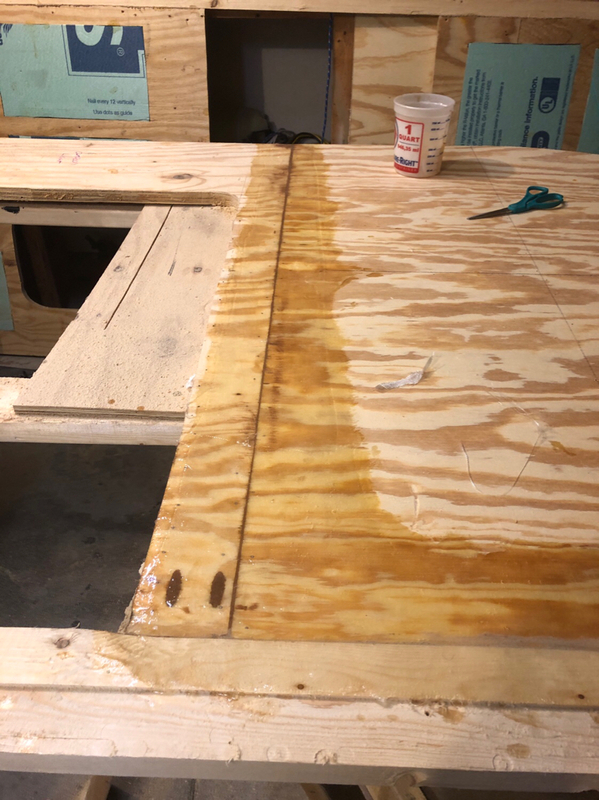 The next time i mix epoxy I will attempt to flow some into the joint or make some butter to fillet them. It is an easy oversight to fix I think. I have not posted for a bit because I have been running electrical and photos of wires don't really show well. 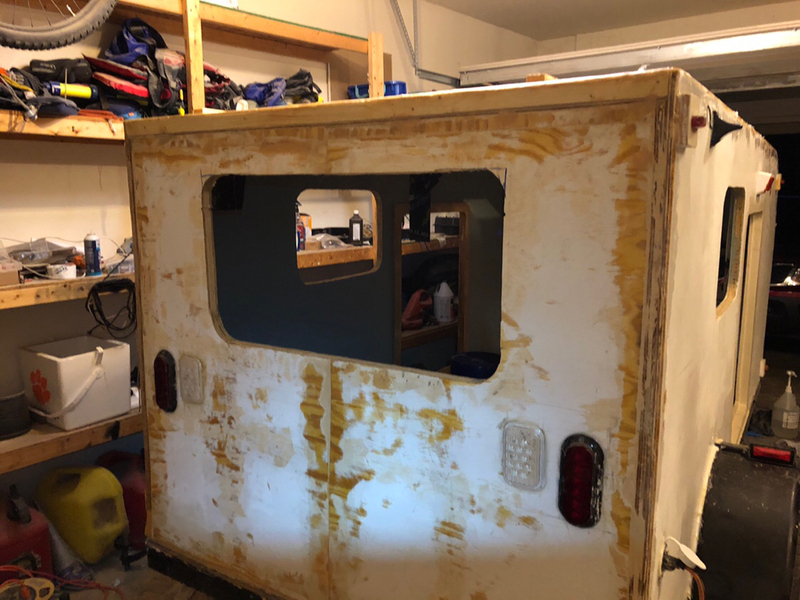 I have my exterior lights mostly done and am now finishing the interior electric. This is my main distribution for interior. I didn't plan on how I was going to mount this so my master fuses had different length runs and thus the crooked 1x2. It is inside a storage bin so I'm OK with it. When I ran wire through the Walls for exterior lights I did not plan for extra wire to hook them up. I ended up making a small wood square and I routed the back open to form a opening. 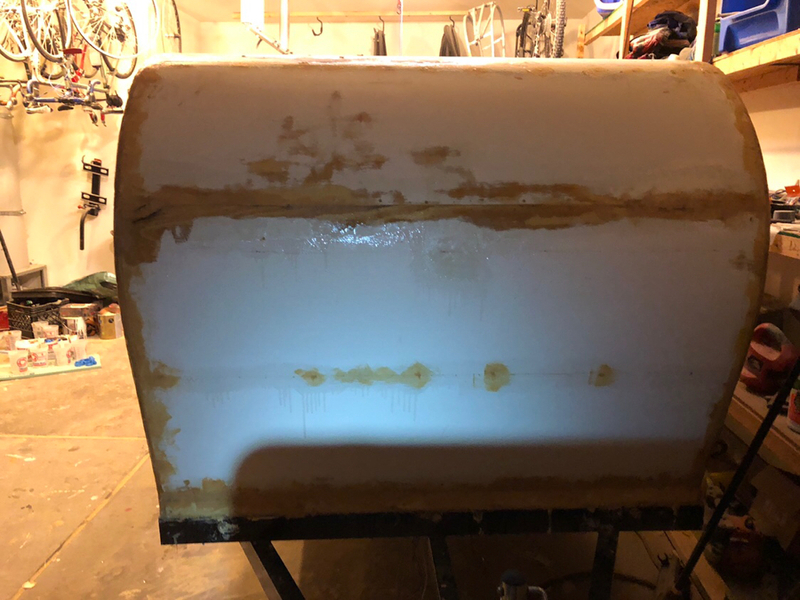 The block was glued in place and epoxied and painted. Rear window cut out. Speaker mounted and light installed. I have 4 light strips. Two are on a dimmer and two are on separate switches on each side. I have way more light than I need but they came in a 5 pack so I went with overkill. 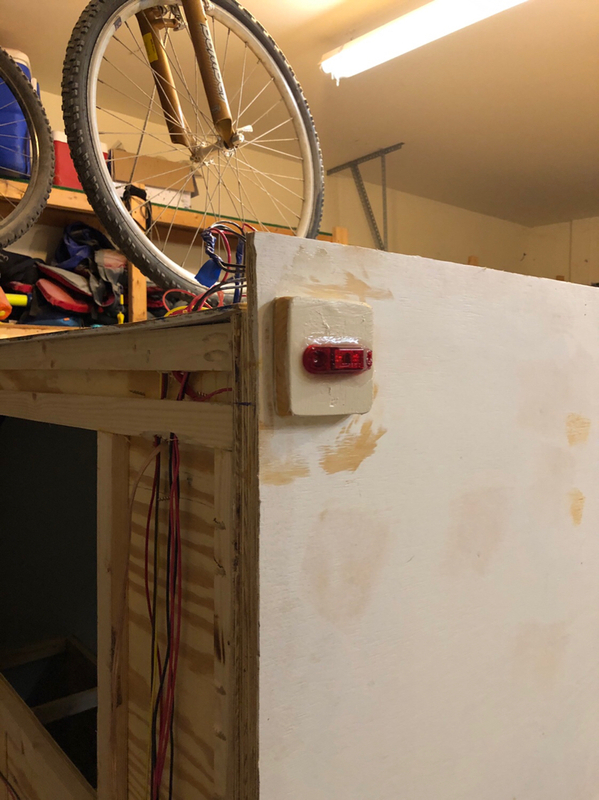 This way I can turn a light on from either side or both of the side ones off and use the two center lights controlled by the dimmer. 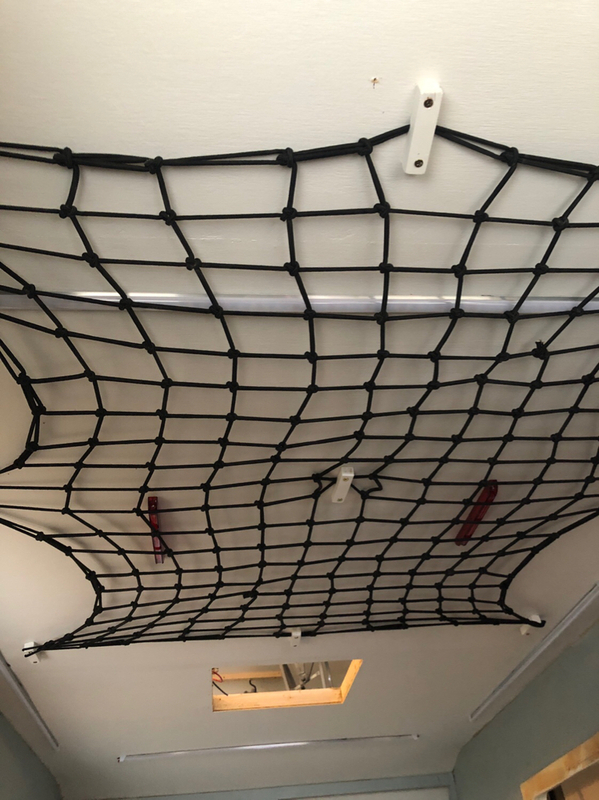 I added a cargo net to the roof for clothing pillows or whatever. I have let the posting get away from me. 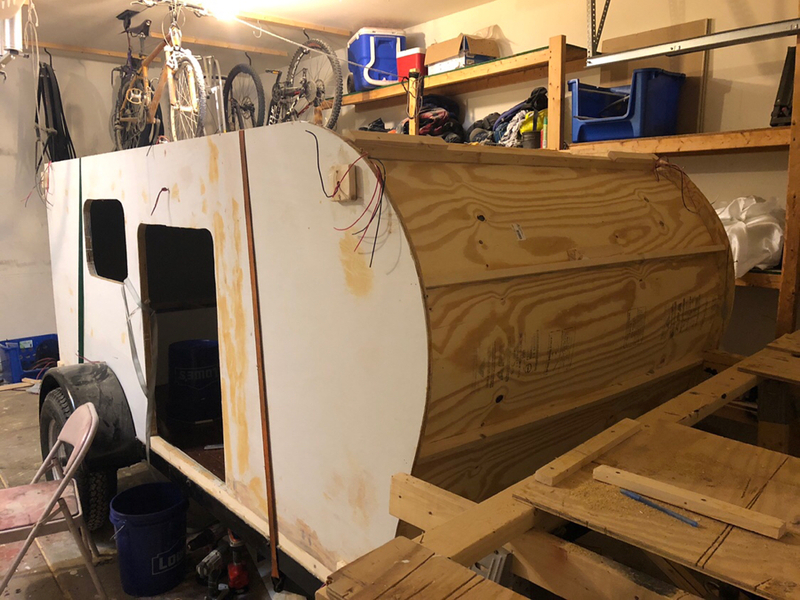 I have the outside plywood done. I used 6oz cloth on all the seams. Painted and installed windows, Maxxair fan and solar panels. I need to install door weather stripping and it's usable for my March 2nd 1/2 marathon. I have been spending more time trying to finish the trailer than training so it won't be a good one. 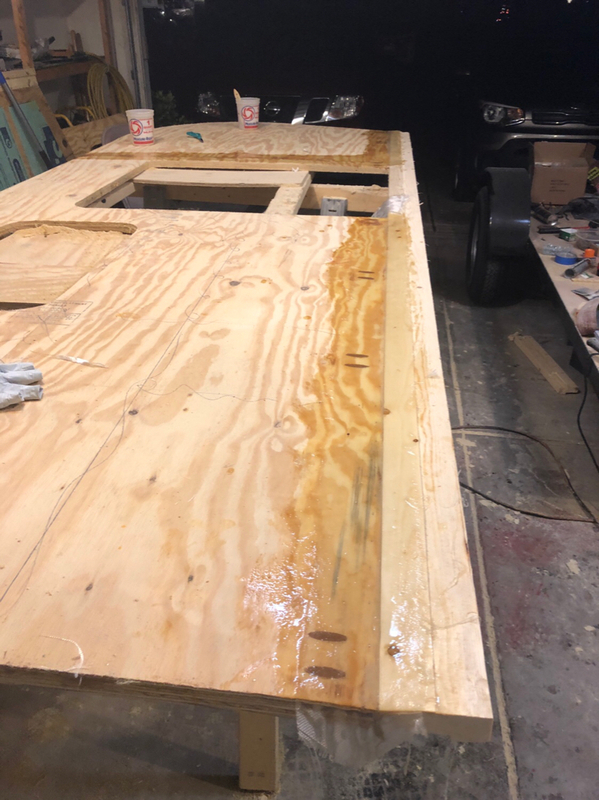 I am trying to find a good solution for a drip edge over the doors and the interior has lots of work to finish. 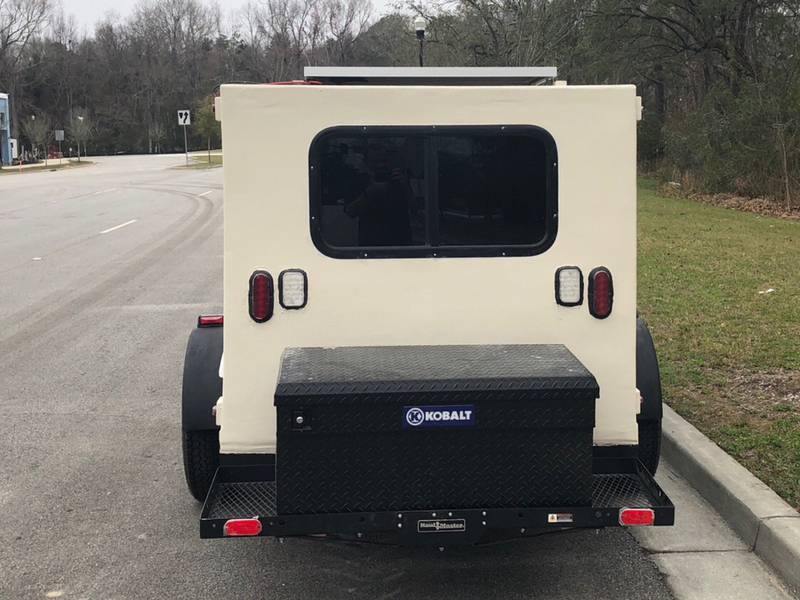 Tonneau cover,and trailer are looking good. 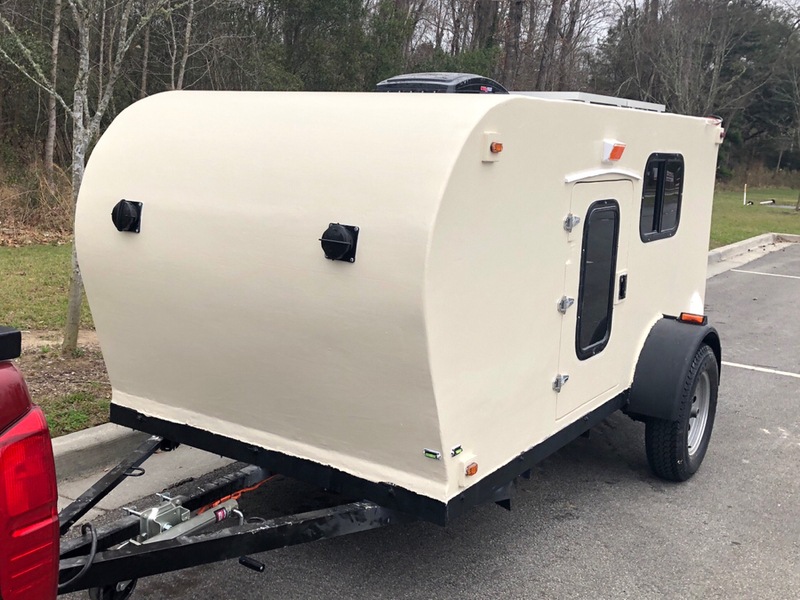 twisted lines wrote: Tonneau cover,and trailer are looking good. I have been working ahead of schedule but my log of work has suffered because I don't stop to take photos. I took it out for a test pull. 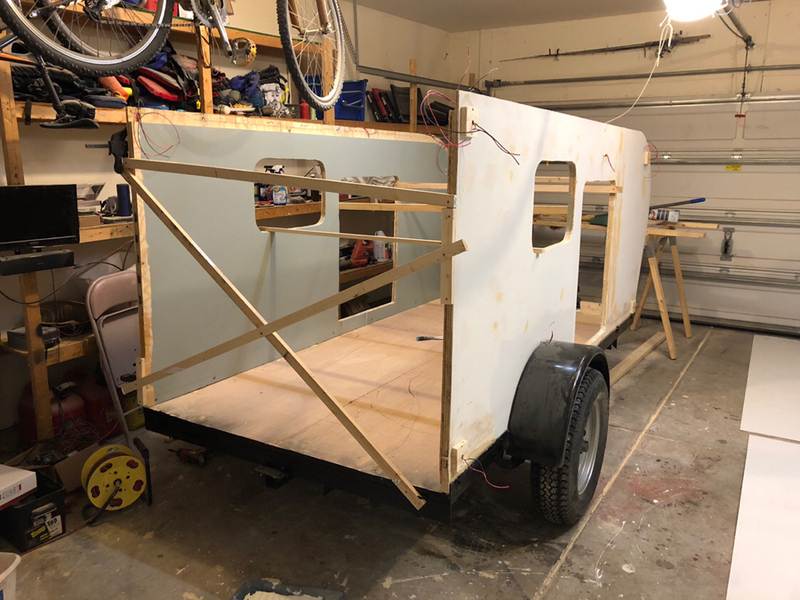 I haven't had the trailer out of my garage since I brought the last load of plywood home. I pulled it to a place to run a few miles and around town running errands. It pulled great. 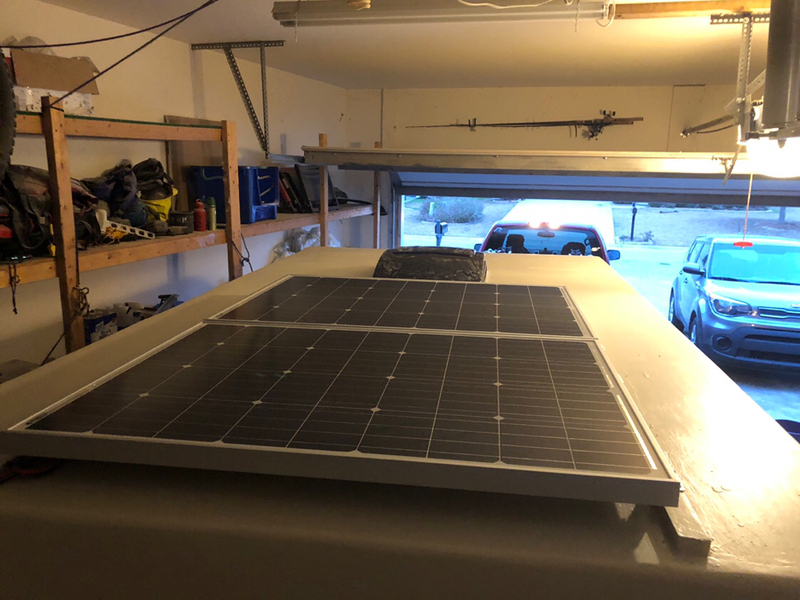 I also installed and ran my climateright. I did not like how I installed the intake and exhaust. 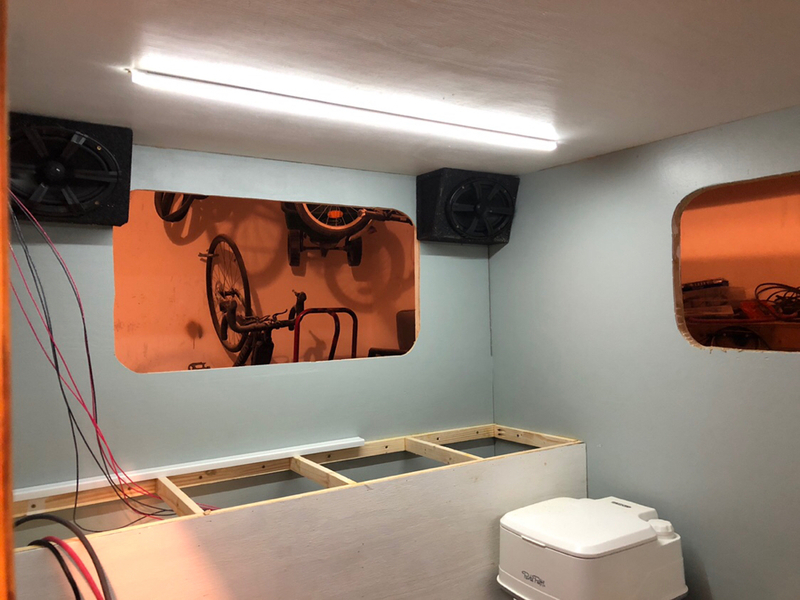 The intake is very noisy right above my head and in AC mode the cold air as its blowing into the camper also drifts down and the spot is a bit colder than the rest of the trailer. That will make for a frosty head. So I moved it. I found out when I took my sales receipt to pay property tax and get a plate that I have some hoops to go through. I didn't look close at my paperwork until now but I don't have a MSO. 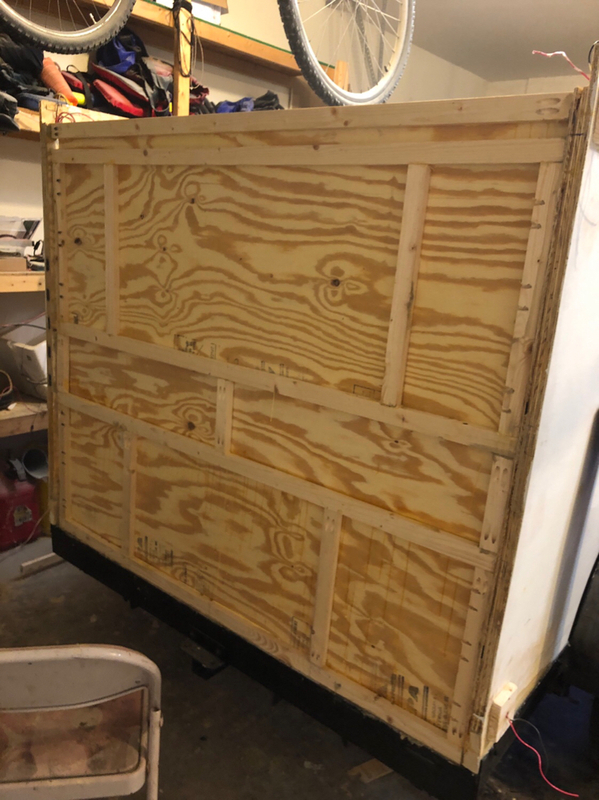 I contacted the trailer mfgr and they said they don't issue one for a trailer they build without lights. I would of had them install lights if I knew that earlier. I didn't and I can't go back so I'll go forward. I have everything done for the plates except for the inspection. The inspection needs to be done by a law enforcement officer or the DMV. My plan now is to stop at a DMV office on the way to camp this weekend. I only need the plate to be legal outside of the state so I'm OK this first trip.